Opinions vary as to what is an Investment grade diamond. 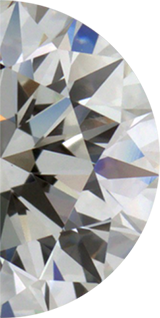 Traditionally investment diamonds have been considered to be the higher quality diamonds in the range of D,E,F color and VVS to Flawless clarities. However, like anything else, if you can buy at a price and sell for more later, you may have profitable investment. However, investing in diamonds can be complicated and risky. Like any investment you should be knowledgeable about the diamonds you are going to purchase. If you have purchased diamonds from a middle-man such as a jeweler or diamond broker, you are paying a significant mark-up and will most likely not recoup your initial investment. Especially if you intend to sell the diamond within a few years from the date of purchase. There is no reason a jeweler or diamond broker will sell you a diamond for the same price or less than he or she can get selling to a professional diamond buyer. Therefore, buyers that do not possess the knowledge and access to contacts deep in diamond market should be cautious in investing in diamonds. Diamonds purchased decades ago may have outdated cuts and proportions and are not as marketable compared to modern cut diamonds with Ideal and Excellent proportions. This will put a seller at a disadvantage when trying to obtain a competitive price for a diamond when the time comes to sell it. Despite popular belief and sales pitches, diamonds do not always go up in value. This is especially true if you purchased your diamond at the retail level. In the last few decades there having been a few booms and busts in the diamond market. There was significant drop in the 1980’s after a boom in prices. Since diamonds have modestly increased in price and peaked the mid- 2000’s. As liquidity and credit tightens around the world, demand for diamonds can fall. This is all the more reason to sell to an experience diamond buyer who can give you fair value for your diamond. Sell your diamond online at TheDiamondTrade.com. Call or visit The Process to learn more about how you can sell your invest diamonds online!